Crime at Walmart: When Can You Sue? Walmart has long been associated with low prices, but the megaretailer is also becoming synonymous with high crime rates. While Bloomberg recently noted that staff cuts may have contributed to over 200 violent crimes at Walmart locations in 2016 (including attempted kidnappings and multiple stabbings, shootings, and murders), watchdog groups who have been charting crime on company property for the past decade see the same old story. So are criminals responsible for their own dangerous behavior, or can Walmart be held liable for crime in its stores and parking lots? In June, a SWAT team killed a hostage taker at a Walmart in Amarillo, Texas. In July, three Walmart employees in Florida were charged with manslaughter after a shoplifter they chased and pinned down died of asphyxia. Other crimes are just bizarre. On Aug. 8, police discovered a meth lab inside a 6-foot-high drainage pipe under a Walmart parking lot in Amherst, N.Y. According to recent reports, incidents at Walmart account for nearly half of all criminal activity in Port Ritchie, Florida, and Tulsa police were called to the city's four Walmart stores almost 2,000 times last year (compared to 300 such calls to Tulsa's four Target stores). Walmart CEO Doug McMillon made reducing crime a top priority when he took over in 2014, and despite's the retail giant's claims that new efforts are working, local police say different. "It's ridiculous -- we are talking about the biggest retailer in the world," Tulsa Police sergeant Robert Rohloff told Bloomberg. "I may have half my squad there for hours." In the last few years, courts have been more likely to find retailers liable for crimes that occur in their parking lots. 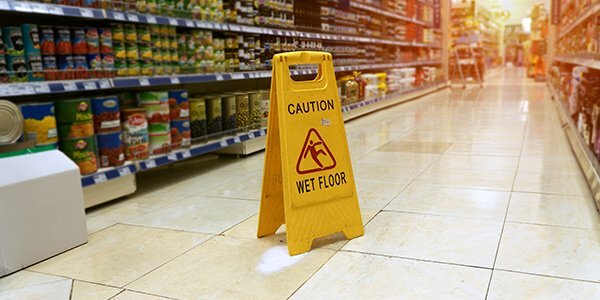 Whether Walmart or another particular store will be legally responsible for injuries resulting from a crime on their property will generally depend on how foreseeable the crime was. Retailers and parking lot owners in high crime areas or those whose lots have often been the scene of the crime are more likely to be on the hook for any injuries from robberies or assaults in their lots. He fought Walmart for several years over a lawsuit he filed in 2010 on behalf of a woman who was abducted outside a store in DeFuniak Springs, Fla., and repeatedly raped. Marlowe said in a court filing that he learned only in 2013 of the database, which documented "precisely the sort of incidents" he sought for more than two years. Walmart's lawyer, he said, "led everyone to believe that crime data retrieval was a great mystery -- a query of inconceivable proportions." Walmart denied liability in the case. The company eventually settled for an undisclosed sum.